A cabaret of queers and queens—past, present, and future. Skywatchers ensemble performs at Third Thursdays in Yerba Buena Gardens, with special guests from TL Votes. Voter registration and ballot measure education included! 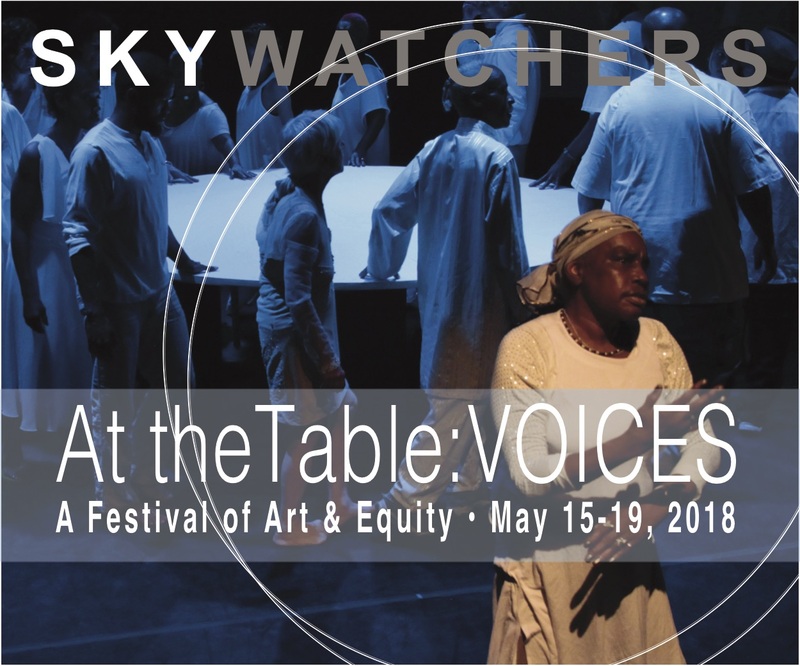 Join us for a night of celebration, resistance, opulence, and future-visioning as we premiere new performance and visual works by the Skywatchers Ensemble! Press conference before. Open mic featuring performers from the Skywatchers Youth program at Larkin Street Youth Services, and a screening of “Dreaming in the Streets,” a new video work by The Music Video Art Lab. TL Displacement Tours are community-sourced, neighbor-led tours of displaced people and places of historical, communal, and personal significance. At the core of these tours is the belief that memory is resistance, and by remembering and marking what has been displaced from the TL–no matter how small–we resist the forces that deny the rich flavor of the neighborhood in order to justify the encroaching gentrification. 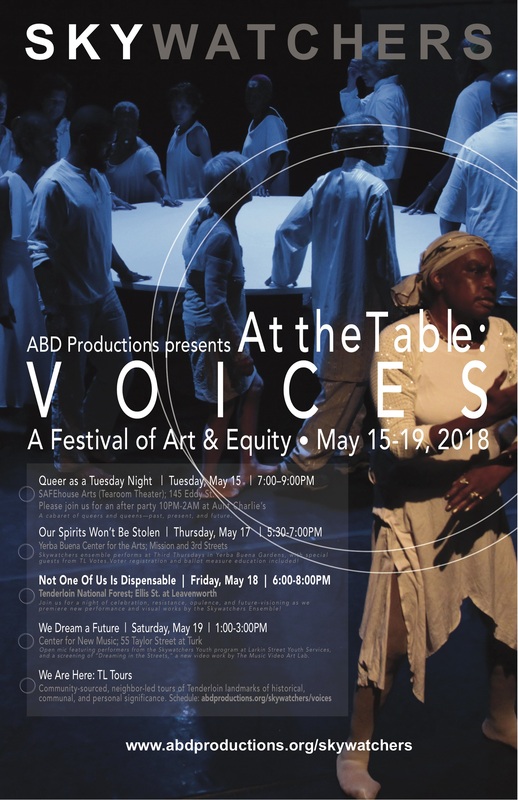 Each tour is one of a kind, led by Tenderloin residents, who will share their own experiences, knowledge, and memories of the neighborhood as they highlight a guerrilla art project marking the sites of 2 dozen displaced people & places. Tours meet at BOEDDEKER PARK (246 EDDY STREET) by the statue at the entrance. ABD Productions © 2019. All Rights Reserved.